Great news! 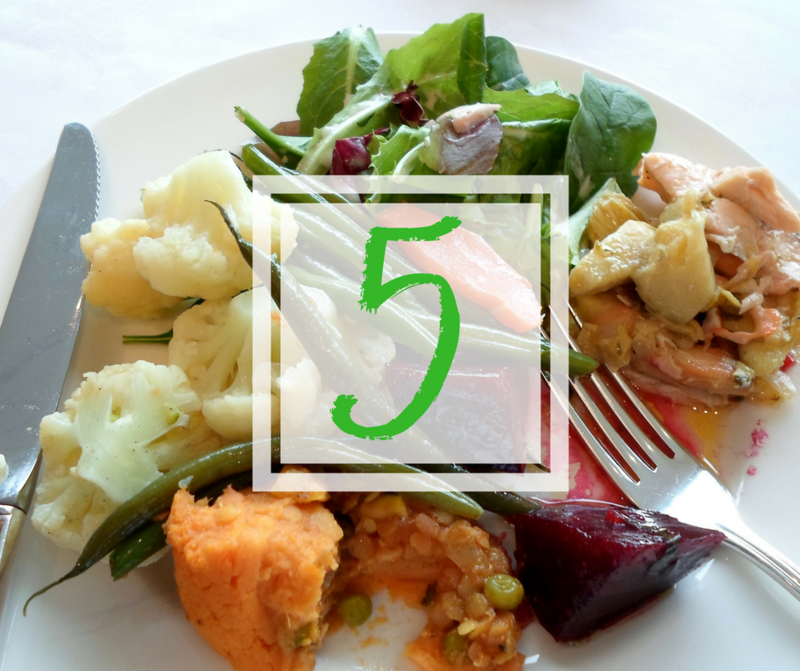 If you don’t feel like going to work this week, there are some sure fire ways to injure yourself so you don’t have to! So get on your exercise clothes, and lets get started! The sooner you do these high risk exercises, the sooner you can start that GOT marathon. 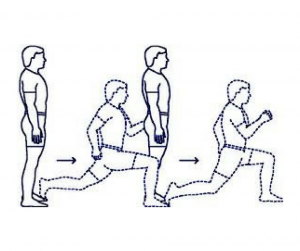 The correct technique for a kettlebell swing is to bend at the hips, keep your back straight, and use your lower body to provide the power for the movement instead of your arms. Injuries such as sprains, muscle tears, or disc injuries can occur when you hunch over to lift instead of keeping your spine straight, when you choose a weight that is too heavy for you, and when you use a fast jerking movement relying mostly on your upper body instead of a smooth controlled motion. 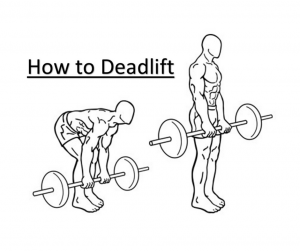 A correctly performed deadlift involves slightly bending your knees, choosing a weight that is appropriate, securely attaching the weights, and keeping your spine straight with a smooth and controlled movement, core muscles activated. A risk of injury to your back and knees occurs when you lock your knees straight, hunch over or arch your spine too much, have weights that are too heavy, or use a jerking motion to lift. Haven’t securely fastened your weights? You might end up toppling over sideways or dropping one on your foot. 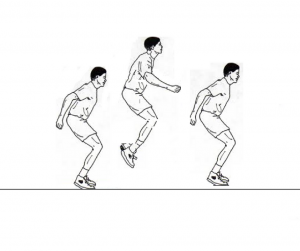 If jumping is part of your workout, in the form of skipping, box jumps, or mini trampoline for example, the correct technique is to activate your core to help you stay balanced, bend your knees on impact the help absorb the forces on your body, and wear appropriate supportive shoes that grip well and ensure the surface you are on is stable. 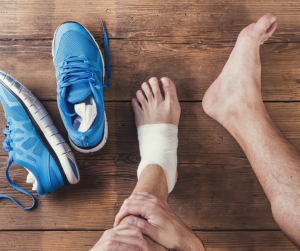 Injuries can occur with landing on straight legs, landing barefoot on a hard surface, landing with an arched back, or making contact with a slippery surface causing a fall. To perform a lunge correctly, you should have both feet facing forward, your hips in line with each other, and you should step out to a distance so that when you perform the lunge, your front knee stays in line with your front foot. Risk of injury to the knee can occur when you position your knee in front of your foot, putting excessive forces on the front of the knee. Twisting your hips so your knees splay out to the side can also cause injury, strain, or tears. So there you have it! If you would like to stay healthy and pain free we highly recommend performing these exercises correctly, in a controlled manner, and with good posture. If you aren’t sure the correct technique on any exercise it might help to find a PT who can offer some assistance while you learn. If on the other hand, you want to set yourself up for injury and potentially a lifetime of chronic pain and limitations with movement, go ahead with poor technique and dangerous equipment or environments. I think I know which option I’m going to choose!